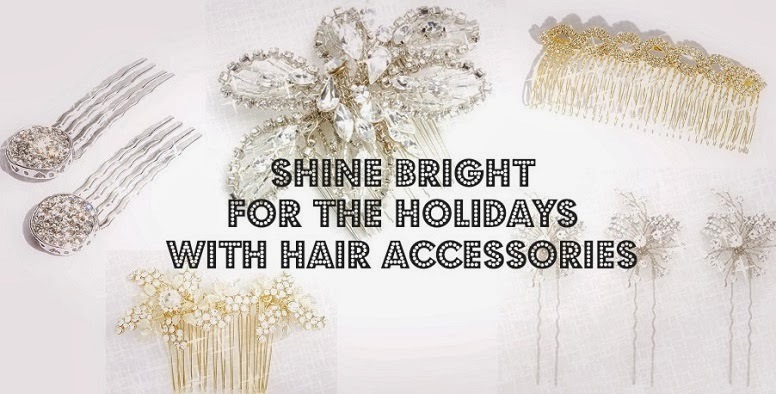 Low buns, high buns, or side buns combined with hair accessories (gems, pearls, bows, florals, and etc) give a romantic look that can also work around the holidays. 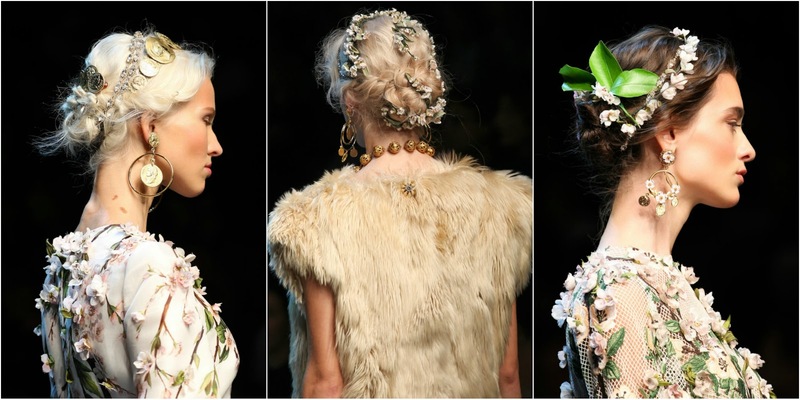 Embellishments are going to be trendy all the way til spring of next year, so why not wear them on our hair now? I think they can transform a casual style into something holiday-worthy. 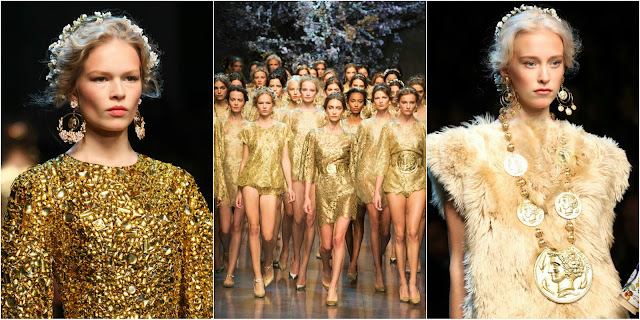 Spring 2014 will golden with big accessories, metallic gold, floral hair crowns, and very natural make-up. 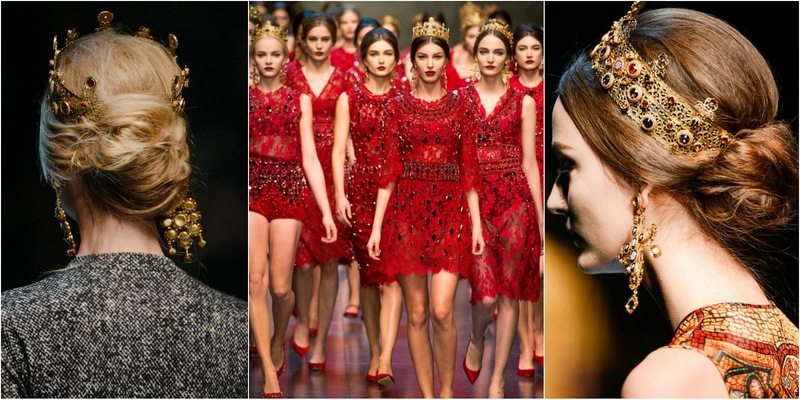 Dolce & Gabbana has some pretty floral hair embellishments on their S2014 runway which gives a pretty fairy tale princess look. The low hair buns with gold - jeweled crowns and rouge lips on their F2013 runway is nothing short of attending grabbing. The ladder collection definitely sets the tone for a more fierce and powerful style in the F/W as opposed to the spring collection. I think you can get creative by combining the two for a look that is passionately romantic but fierce at the same time, like wearing hair floral and red lips this holiday season. Oh-so-romantic and Victorian! branches of flowers weaved stylishly as crowns. No need to fight monsters of middle earth to rule them all. 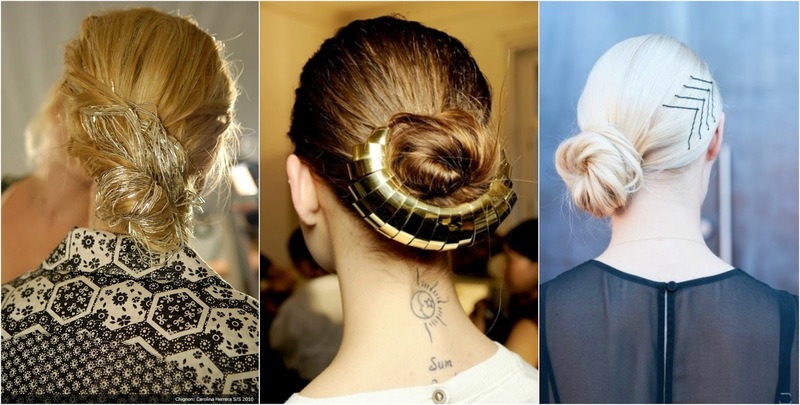 Simply wear a low bun and embellish it. 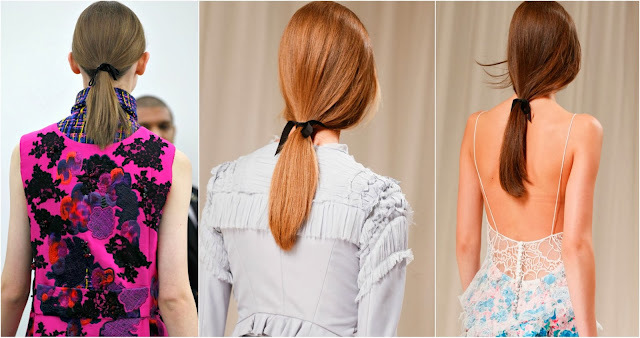 Some other ideas to dress up your hair that can be so effortless yet so elegant and beautiful. Thanks! 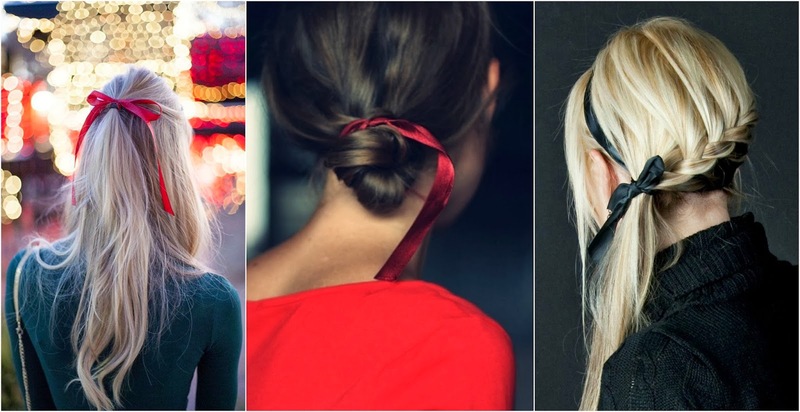 I love how versatile they are seasonally and with any hair length too!